Crystal Antlers are in the middle of their two-night NYC run opening for The Big Pink at Bowery Ballroom (Thursday night) and Music Hall of Williamsburg (Friday). 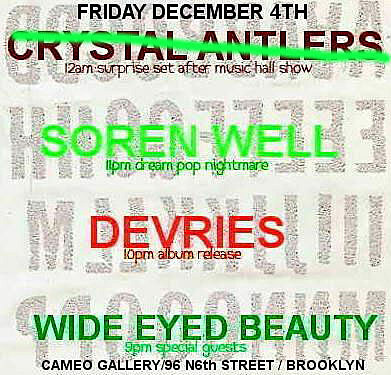 They’ll cap it off Friday night by walking across the street to play a second Brooklyn show at Cameo with Soren Well and others. 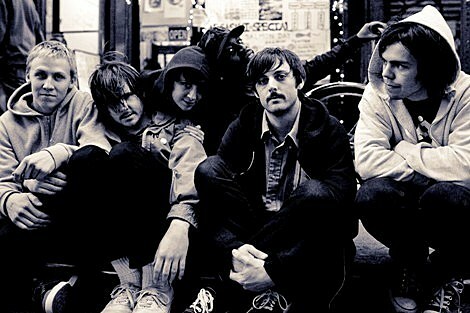 UPDATE: Crystal Antlers say the Cameo show isn’t happening.